Eumarozia malachitana - Hodges#2749 (Sculptured Moth). 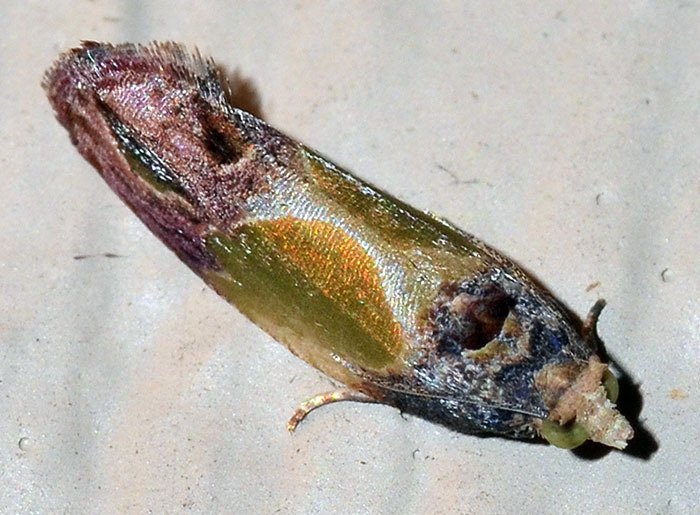 A small odd-looking moth with a head that looks a bit like it has a big snout. The species name "malachitana" refers to the mineral malichite which has a similar green color. This greenish tint, however, is not very pronounced in this specimen.